In her free time, Dawn creates LEGO® masterpieces with her three children, writes poetry, shoots photography, explores DIY projects, and enjoys bird-watching. 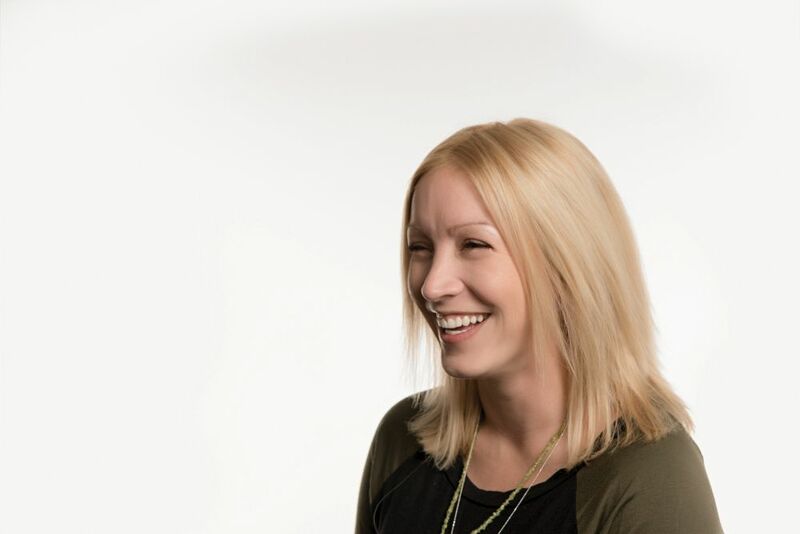 Dawn’s passion for the environment, and helping with communications within the social profit sector are just a couple of reasons she has been named one of YMM’s Top 50 Under 50. When journalist Dawn Booth arrived in Fort McMurray from big-city Ottawa, she didn’t see the wild-and-woolly oilsands boomtown that has figured so largely in media stories outside the region. Instead, Booth saw a place she could call home, and immediately set about sharing that reality with the world. “I was taught in school that ‘if it bleeds, it leads,’ meaning that if it’s a negative story, it’s on the front page,” explains Booth, who graduated with a diploma for print and broadcast journalism from Toronto’s Humber College. “From your neighbour to your co-worker, snapd is full of hundreds of pictures of the smiling faces of people you know,” Booth says of the positive contribution snapd has made to the region. 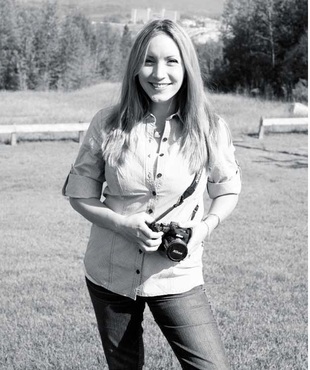 Booth has certainly succeeded in that goal as an active community volunteer for a variety of organizations from Volunteer Wood Buffalo and the Fort McMurray Environment Committee to NorthWord Magazine, Fort McMurray Tourism and CIBC’s Run for the Cure. For Booth, it’s about more than just career-building and community service; it’s about giving back to a place that has given her so much. “I will be forever grateful to this place because not only did it give me the opportunity to fulfill my wants in a career, it gave me the greatest gifts of all – my husband and two children,” she says. * On Being a Torch Bearer for the 2015 Western Canada Summer Games. * On Girls Inc. of Northern Alberta Women of Inspiration Nomination. * On Donating to the Wall of Celebration. * On Guest Editing NorthWord's Change Edition. * In Fort McMurray Inspired Poetry. * On Media Coverage for Local Drumline Program. * On First World Hijab Day in Alberta. Dawn Booth has been in YMM for almost seven years. She started out working for the Fort McMurray Today in an editing position, which taught her about meeting deadlines and frugal living. Along the way she found true love, a mortgage, and two simultaneous careers in journalism and public relations. She did all this while being a passionate advocate for sensible environmentalism and raising two boys - neither of them in school yet. And she’s blonde, brown eyed and gorgeous. 1. You do have one glaring fault, don’t you? How many times did you actually take your driving test? It took me almost 13 years to have the guts to get behind the wheel. The road test was actually only once. But, I took the prelim test too many times to count. 2. So, when you came to Fort McMurray did the opportunities just fall into your lap? That never happens. I left college and worked for two years in Toronto, struggling to get an opportunity in my field of study. I was an usher, a bartender, a promoter… anything that would pay the bills. I finally landed an editing position at a magazine, but that went bankrupt after one issue, then I moved to Ottawa and gained some experience writing for a few papers, which led to seeking out my options in Fort McMurray. I’d heard this was the city where there were opportunities. 3. What is it about YMM that makes it the land of opportunity? There’s an entrepreneurial bent among the people who come here because, for many, it’s a leap of faith to even arrive. Because of that, there is a keener recognition of the possibilities that exist and the willingness to try for them when you see them. I always thought I would stay in Toronto and make my life there. I left because I was nearly broke and living in an apartment with no heat. Fort McMurray gave me the chances that Toronto didn’t. 4. You are also the President of the Fort McMurray Environment Committee. An environmentalist in YMM? I think it’s important to have community pride as a resident living in the oil sands capital of the country. As long as the world is dependent on petroleum, energy extraction will shape our region. And though there are efforts of land reclamation and air quality control by the industry and organizations, we can do our part too by making our lifestyles greener, at home and in our own backyard. 5. And the next five years. How are they shaping up? Previously working as an editor at the Fort McMurray Today and snapd Wood Buffalo, I plan to focus on growing my own business and family. I’m recently a new business owner and provide services that I have been doing for years now. If you need a photographer, writer, editor, graphic designer and/or a consultant, I can help in all of these areas. I’m happy I’m able to provide people with a one-stop service, all while being surrounded by my little ones. You can find Dawn Booth at all the important community events, at www.mediabooth.net, or at home with her family of five.